Neighbors for Clean Water: Did You Know? That making sure we protect our creeks, rivers, and oceans from pollutants is important to our health and well-being! Pam Floyd attended the Habitat for Humanity Health Fair hosted by Dataw Island on January 15, 2016. 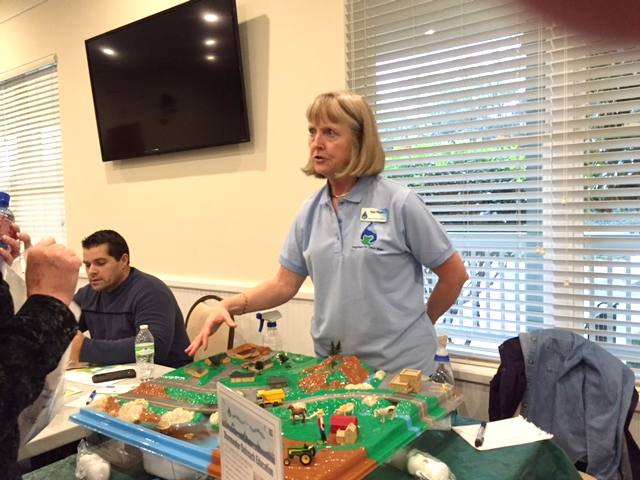 While there, Pam explained how rainfall or stormwater runoff washes non-point source pollutants into our area waterways. Explore the rest of our website to learn more about minimizing your impact and protecting our local rivers. Take the pledge to "scoop the poop," and save our waterways!